It adds insult to injury. Hedge funds don’t just have $65 billion (Rs3.15 trillion) of positions stuck in the wreckage of Lehman Brothers Holdings Inc., the fallen US investment bank. They now also have to meet margin calls on those positions, even if they don’t know where they are or if they can be recovered. A margin call is a demand from a broker to a customer to bring up the margin deposit — depleted by a fall in the price of the security purchased on margin — to the required minimum level. The margin calls are adding to the strain on hedge funds. Some may want to close but cannot because they don’t know what assets they have left in Lehman. Overall, the extraordinary mess is contributing to the sector’s most dismal investment performance in 20 years. 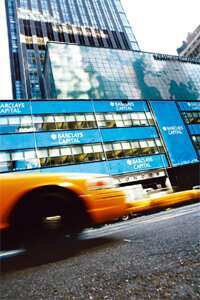 Lehman was one of the biggest prime brokers, as well as being a major equities trader itself. The London business had 3,500 clients, of which hedge funds had $45 billion in assets and $20 billion in short positions. Audit firm PricewaterhouseCoopers is now the administrator of the London business. The mess goes back to the common practice of hedge funds posting collateral with their prime brokers in return for cheap finance. The brokers often used the collateral to lend in their own operations — a process called rehypothecation. But stock lending under English law is a transfer of ownership. When Lehman went into administration, all these assets were frozen — without their original owners knowing who held them and on what terms. Worse, rehypothecated assets are ranked in the general pool of creditors. Olivant, the fund run by Luqman Arnold, admitted earlier this month that it could not lay its hands on its $2.78 billion stake in UBS AG, the Swiss bank, which had been lodged with Lehman. GLG Partners Lp. and RAB Capital Plc., both London-based funds, are also among those with assets frozen. The latest indignity for hedge funds is that they have to go on meeting margin calls on the positions stuck in Lehman — even if they cannot be sure that they still own them. Sorting out who owns what in Lehman could take years. The pressure is likely to swell the growing ranks of hedge fund closures and weigh down the performance of others.